« Freebie Friday “Resolutions” Edition: Win a Free Redbox Gift Card! 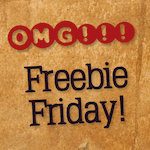 Freebie Friday “Brrr” Edition: Win a Free Redbox Gift Card! We’re well into January now, and temperatures are frigid across much of the country. As we sit inside, nice and toasty, and watch a movie from Redbox, let’s talk about our favorite winter flicks. What’s your favorite movie that’s set during the winter?